Every year at All Seasons we make a quinzhee with the children. What’s a quinzhee, you may ask? 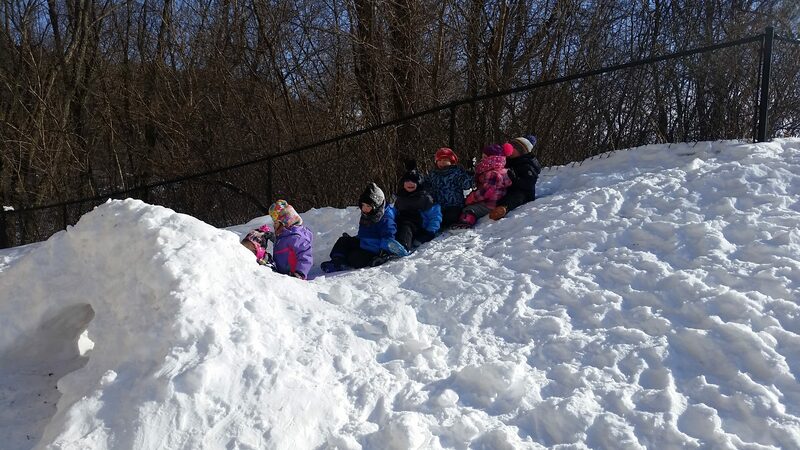 A quinzhee is a snow shelter, or snow cave originally made by the Athapaskan Indians in central Canada. Quinzhees are big piles of snow that are hollowed out into caves for protection from the elements*. Our typical quinzhee is obviously not for shelter, but instead for fun and for the experience of building it together. 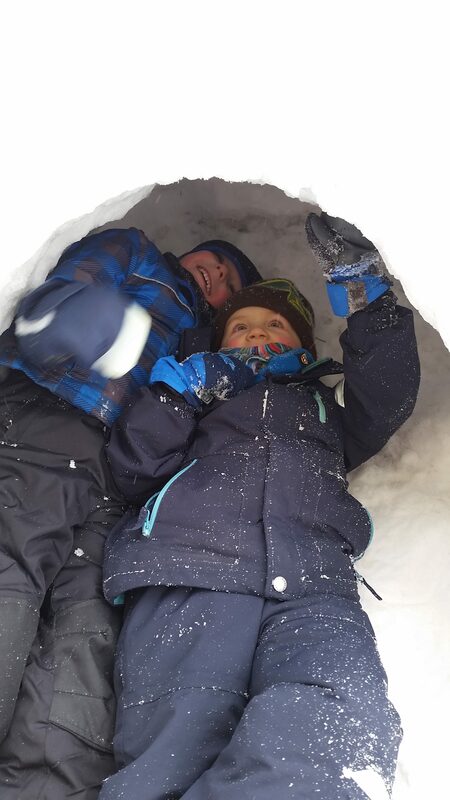 This year, instead of a snow cave, we made a snow tunnel instead. 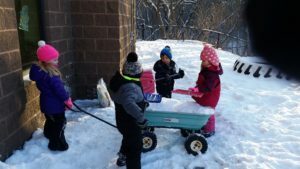 At one point, a group had the idea that if they filled up the wagon with snow, that would be a WAY easier way to make a big pile. So, as we often do here at All Seasons, the teachers hung back and watched the team work play out. 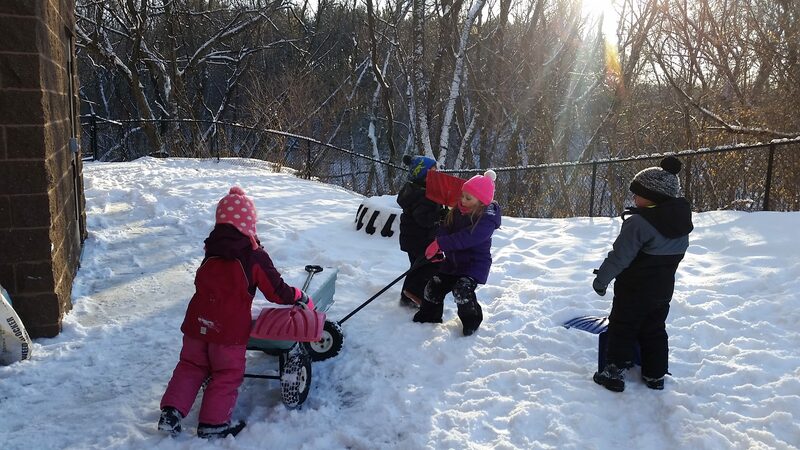 First, the “discussion” had to occur about who would pull the wagon, who would push, and who would fill it up with snow. Then, once filled with snow, the now heavy wagon needed to be moved from its easily accessible spot to the snow pile. This took a quite a bit of muscle power, and the group needed to enlist more of their peers to help. Cheers rang out when the group could get the wagon to the right spot. After dumping the wagon, some children returned it to the bottom of the hill to get more snow while others worked to pack the load down tight. A well-oiled, quinzhee building machine! The preschoolers were the most excited to start digging out our cave, which would eventually turn into a tunnel. But alas, a group of sixteen excited children, four with digging shovels, is not necessarily a wonderful equation. Unless, of course, you want children to practice skills like self-advocy, compassion for others, and sharing. With minimal teacher involvement, everyone who wanted to got a chance to try digging out the snow to slowly chip away at the tunnel in our quinzhee. 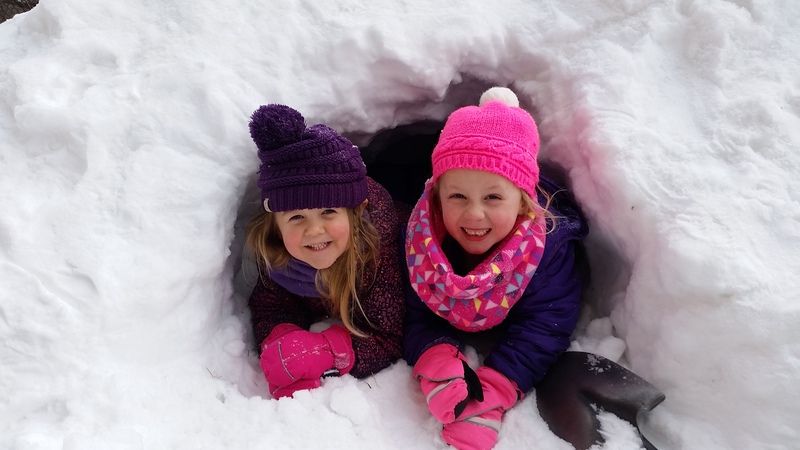 Children dug from both sides of our tunnel, and shouts of joy erupted when the first shovel and boot poked all the way through. “We did it, we did it!” was heard over and over. Well done, preschoolers, well done. Fostering relationships with the grandmas and grandpas at All Seasons Preschool is woven tightly into our curriculum. While interactions are a part of every day, holidays lend added excitement and opportunity. February pretty much becomes a solid month of Valentine’s Days, with preschoolers on a mission to make everyone they meet feel special. More than anything, there is a love of sharing with the seniors. 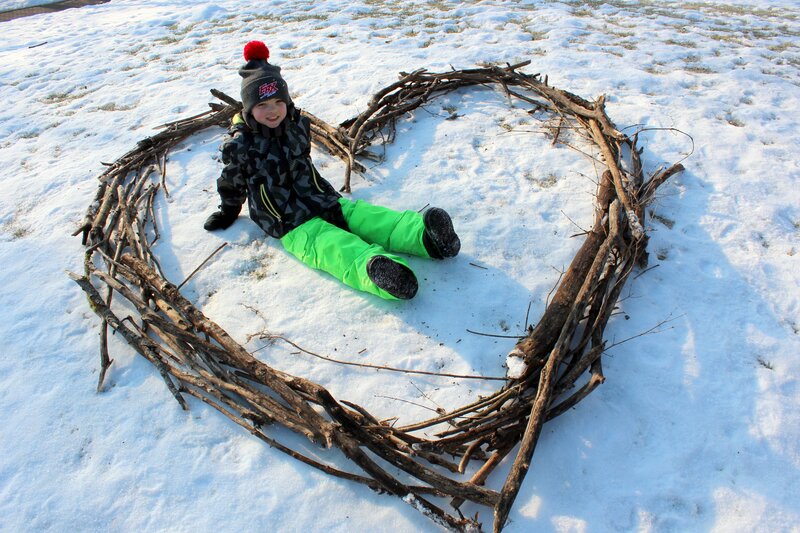 Some of the most well-received Valentine activities over the past years have been the simplest. 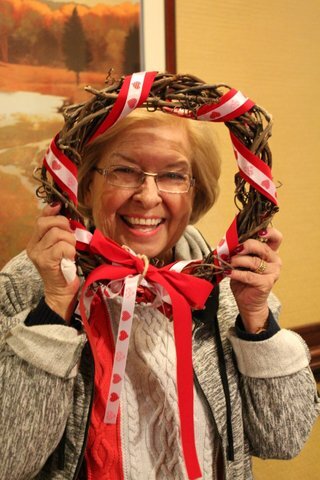 As February approaches, we look forward to repeating some of our favorite ways to share affection with the seniors. We love roaming the halls with sheets of heart stickers and decorating whomever we meet. Having something to share allows even the most timid three year-old to step up – there is an important job to do! Watching a grown-up taste something they have made is a delight to children. Will they receive a thumbs-up or down? Handing out meringue hearts, a less familiar treat, was extra thrilling. And while it was clear to the teachers that a few residents weren’t so sure they liked them, the class was always given a positive review! A neat spin-off was asking each taste-tester who they thought might also like to test a meringue, sending the preschoolers on a hunt to find them. Another engaging activity is to go on a “heart hunt.” With clipboards in hand, children explore the decorations up and down the halls. With each heart decoration found, a heart on their sheet is colored in. 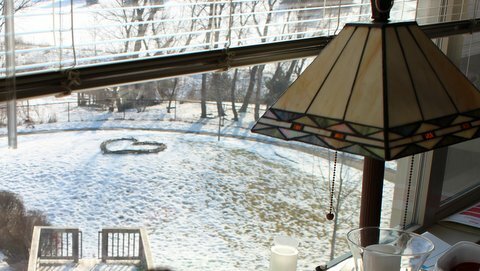 Often the seniors hear our excitement and open their doors, inviting us in to find more hearts. The teachers prompt conversations, asking a grandma to share a memory, perhaps how she celebrated as a child. Did she make Valentines for someone special? Many of the apartments at Inver Glen offer views of children playing outside and the residents often tell the class how much they enjoy watching them play. With this information, a plan was hatched to build a surprise on the playground! 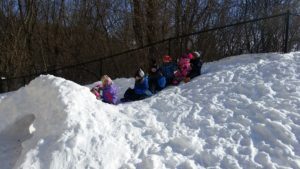 The preschoolers knocked on doors and were giddy leading the grandmas and grandpas to their windows, calling out “You’re going to love it!” On the playground hill, a giant heart made with sticks the children carried and carted from the woods took center stage. “We made it for you!” This sweet gesture touched so many. One additional way we have involved all those at Inver Glen in Valentine’s Day was through a prop. Like the stickers, carrying around a grapevine wreath with a simple and clear goal put both generations at ease; all the children needed to do was ask people to look through the decorated wreath and have their picture taken. Those that would typically turn down a photo couldn’t resist this silliness and actually let loose making goofy faces, enjoying being included. After all, Valentines is about being recognized for what makes us special. The chocolate and roses go fast, but the feeling of being loved stays.